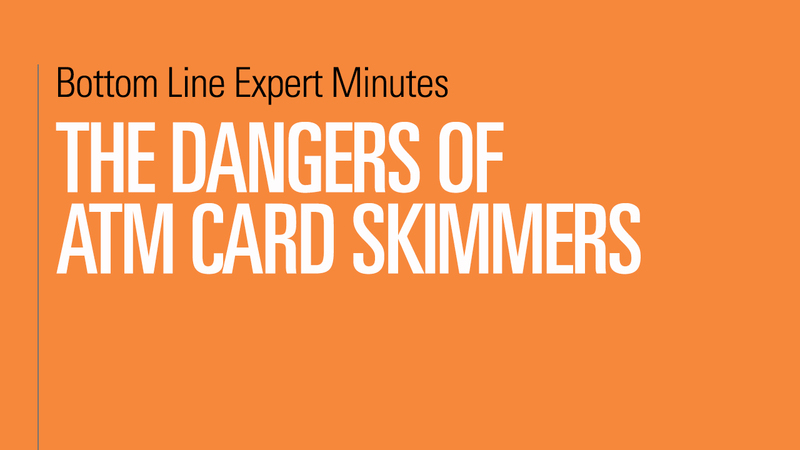 Card skimmers are increasingly placing ATM and credit card users at risk for fraud. In this video, Adam Levin, chairman and founder of CyberScout and author of Swiped, explains how to spot a card skimmer as well as where these skimmers are likely found. Skimmers can typically be found at gas stations and ATM machines. Key signs of skimmers are loose ATM covers or tight card slots. To lower your risk, use an ATM in a bank rather than in a store or other location. Also, cover your hand when inputting your PIN so that nobody can see what it is. Finally, be alert and make sure that you don’t forget to take your card with you once your transaction is complete.